Hundreds of thousands of people have been waiting for the dinar to revalue over the past ten years. Perhaps millions. 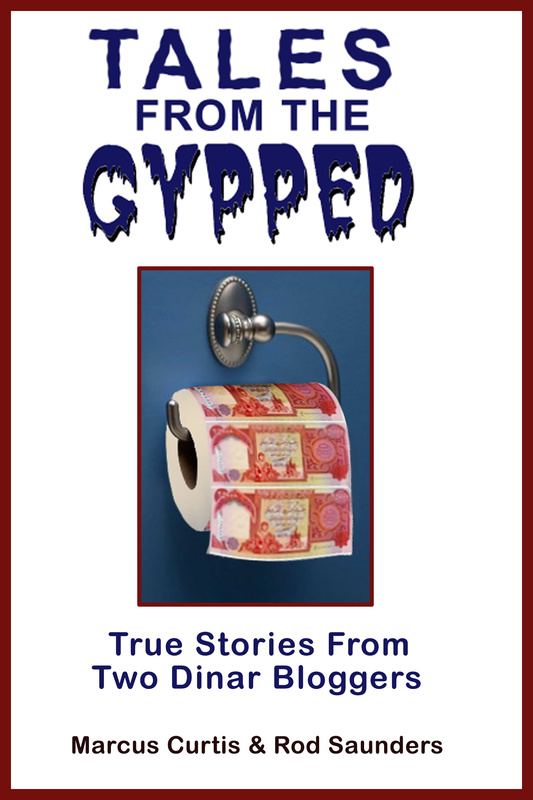 Many have given up, sold their dinar and moved on. But just like like P.T. Barnum is quoted as saying, there’s a sucker born every minute and two to take him. When one person exits the dinar “investment” it seems that there’s always somebody new to take their place, and plenty of scammers to service the RV dreams of the newbie. The fact is the dinar has already revalued. No, I’m not doing the guru “intel” thing where they say we’re just waiting on the activation. I’m going by established and verifiable facts. In the following chart you can see that there was a substantial increase in the value of about 20% from Nov.1, 2006 to Jan. 2, 2009. That was an increase of about 9% a year. 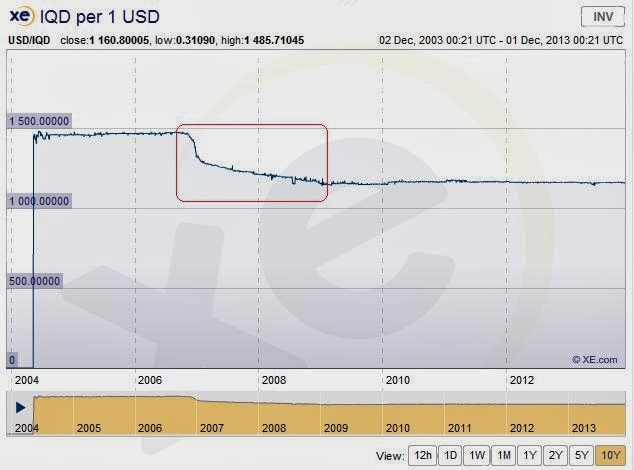 (Chart is taken from XE.com) The CBI parted from their policy of exchange rate stability for 26 months and went to a crawling peg regime as a means of reducing the rate of inflation. They then returned to their policy of stability and have followed that policy for five years now. This is typically how major revaluations are carried out. When I asked currency expert John Jagerson about the largest revaluation in history in my first interview with him two years ago, he responded that it was the ongoing revaluation of the Chinese yuon which at that time had revalued at about 30% since July of 2005. In the two years since that interview the yuon has added another 5% against the USD for a total revaluation of 35% or so over an eight year period. That’s an increase of about 4.1% per year, and it’s the largest RV in history. Think about that for a minute. If the largest RV in history only yielded an increase of 4.1% a year, and the RV of the IQD yielded about 9% a year, why would anybody expect a return of 100,000% or more with the IQD now? 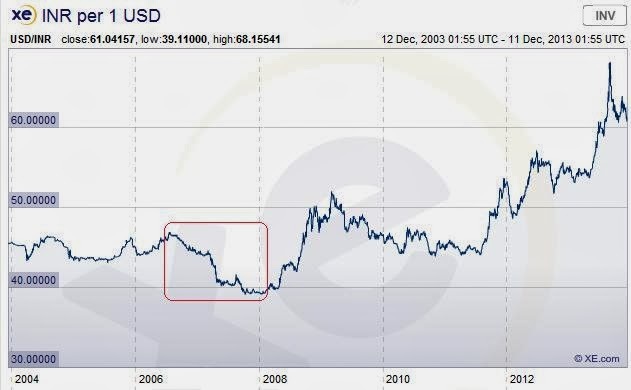 The increase from 2006 to 2009 was huge as far as currencies go. If you got in early and didn’t pay too much of a markup you might have made a few bucks. But if you bought after Jan. 1, 2009 you missed it. I missed it, too. I never even heard of the dinar until after the RV took place. The dinar community has been sold a bill of goods. They’ve been convinced that a revaluation of impossible magnitude is forthcoming. It’s not. The big revaluation has already occurred. 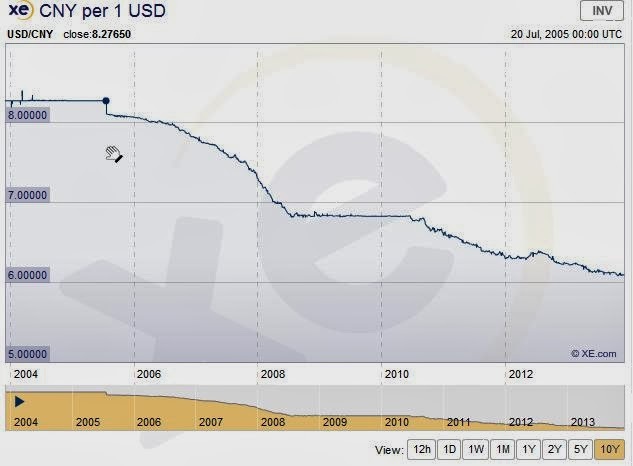 They have now stabilized the exchange rate and the focus is on redenomination rather than revaluation. All of the articles talking about deleting the zeros or removing the zeros are talking about redenomination, not revaluation. Their focus is now on replacing the IQD with a new dinar and demonetizing the IQD. The dinar community calls that a lop, and like it or not that’s the CBI’s stated plan for the IQD. When it will happen I can’t say. It might never happen for all we know. But whether they lop or not, to expect any increase beyond the one from 2006-2009 is wishful thinking. And to our friend Dinarbeleiver (who seems to confuse billions with trillions), if you’re saying that a country’s M2 doesn’t prevent them from revaluing their currency I actually agree. If Iraq wanted to start bumping the value up less than 1% a month like they did from 2006-2009 I’m sure they could do that by simply stabilizing the M2 while their reserves grow. They could certainly raise the value 4.1% a year like China has with that approach. The question is why would they want to? What would they accomplish by doing that? China raised the value because of international pressure. Iraq raised the value to combat inflation. Neither one of those are factors with Iraq today. But if you’re saying what you appear to be saying that the M2 is irrelevant I would ask how you draw that conclusion from anything discussed here? Nobody here said that Iraq isn’t capable of increasing the value in the sense of a conventional revaluation of a few % here and there. The consensus here is that Iraq isn’t capable of revaluing to an extent that would make anybody rich, and nothing in any previous revaluation would contradict that. Cheers!